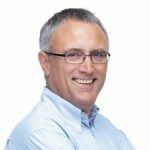 If you were going into hospital to have a major operation, you would like to know the surgeon was properly trained and had lots of experience doing that particular operation, wouldn’t you? The same applies for Botox injections. Unless you have a properly trained and experienced doctor do the job, you cannot be sure it will be done properly. 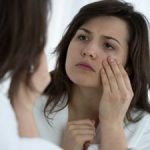 In fact, even among trained and qualified doctors who’ve done a lot of work on wrinkles in this way, the application can vary. For instance, suppose you were having those crow’s feet at the corners of your eyes treated. Once doctor may give mini injections into each of the several wrinkles that form when you smile while another may consider just one larger injection sufficient to treat them all. Neither technique is necessarily wrong – sometimes what works on one person simply doesn’t work on another. The variations in the results could be due to the skin type, the amount of fatty tissue under the skin, the age of the person having treatment and so on. It might even come down to whether or not the patient moved at the wrong time while the injection was being administered. However, choosing a doctor who is licensed, trained and experienced with many happy customers is an important factor in whether you injections will get the best results. You can really expect the best results when you choose the best for the job. Having the injections done by someone at a party or at the mall is not a good idea, neither is travelling overseas to get it done cheaper. The quality may not be there. In places where no health regulations are adhered to it is easy to suspect some kind of malpractice, even if it is just diluting the Botox powder too much and not giving the whole unit. The amount cannot be judged by the syringe. 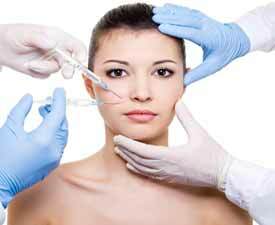 If the syringe is mostly full of saline solution, you won’t be getting the full unit of Botox. It is also possible that the Botox used is not fresh. Once it is mixed with the saline solution for injection, it starts to go off. If a pre-mixed solution from the previous day is used up on your wrinkle treatment you can’t expect to have a good result. This can happen at parties or an unregistered clinic as a way of saving money. But it doesn’t save your money as you will need to have the treatment again to get any result. 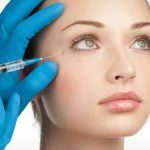 This is why it is important to choose a registered doctor who is trained and experienced in giving Botox, and whose practice you know is a reputable one.